Fortnite Battle Royale on mobile is a boatload of fun — but it could be a lot better. Clunky touch controls make it more difficult to play on iOS than on console or PC, and there’s nothing game controller manufacturers can do about it right now. Gamevice has explained why its controllers do nothing if you attempt to use them in Fortnite — and why it’s taking Epic Games so long to add controller support. Fortnite on iOS is now open to everyone; you no longer need an invite to play. And I highly recommend you try it out, even if you’ve never played Fortnite before. It’s by far the most enjoyable game in the increasingly popular battle royale genre. What makes Fortnite so wonderful on mobile is that it offers the same experience as on console. You play on the same map with the same weapons and equipment in the same 100-player game mode. You can even team up with console and PC players if you wish. But that’s not recommended right now. A fast-paced game like Fortnite takes a lot of practice. Even if you’re experienced in other shooters, there’s a learning curve. It’s even more difficult to play with touch controls, but at least when you play on mobile against other mobile players, there’s a level playing field. Team up with friends on console or PC, however, and you’ll be going up against enemies who are clutching a controller or a keyboard and mouse. You won’t stand a chance. You can’t build as quickly. You can’t move as freely. Your aim won’t be as accurate as theirs. This somewhat spoils the Fortnite mobile experience. It also makes you wonder why Fortnite mobile doesn’t support wireless controllers already. When Epic brought Fortnite to mobile back in March, it promised controller support would be added later. The game has seen a number of significant updates since then — all making big changes and adding new content — but controller support is still missing. According to Gamevice, maker of the popular Gamevice series of controllers for iPhone and iPad, Epic has “concerns about keeping things fair.” It doesn’t want those playing with touch controls to go up against those with controllers, by default, for obvious reasons. Epic is “considering requiring mobile gamers with controllers to be kept in the same matchmaking bucket as console gamers, rather than being able to play in the mobile-only lobby,” Gamevice adds. Epic obviously doesn’t want to alienate Fortnite players, so this is a difficult decision to make. Putting touch players in the same games as those with controllers is unfair — no one would argue that. But you could argue that mobile players with controllers are still at a disadvantage against console players with bigger screens and more powerful hardware. Putting mobile players with controllers in their very own lobbies, where they will only come up against other mobile players with controllers, seems like the fairest solution. But who knows whether there will be enough mobile players with controllers to fill those lobbies. Fortnite is earning millions of dollars a day on mobile, so it’s understandable that Epic is taking its time to get this right. Ruining the experience for the vast majority of mobile players, who won’t be using a controller most of the time, must be avoided. Why can’t controller makers do something? Until Epic adds controller support to Fortnite, there’s nothing third-party controller makers can do. Gamevice has received a ton of requests from customers asking them to make their controllers Fortnite-compatible, but their hands are tied. “There is nothing we can program into our controllers, or into our software, to ‘hack’ Gamevice support into games that don’t natively support controllers,” Gamevice explains. 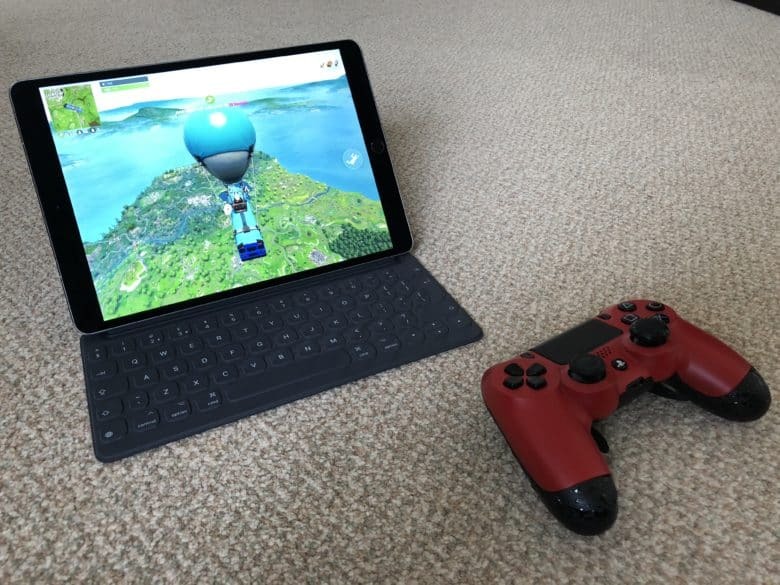 Epic hasn’t mentioned controller support on mobile since Fortnite made its debut, so we have no idea when it will arrive. I’ve been nagging Epic to speak to us about Battle Royale on iOS for over a month, and it seems the company isn’t keen on talking. For now, then, all we can do is wait. As soon as Fortnite gets controller support, or Epic provides us with an update on its development, we’ll be sure to let you know.